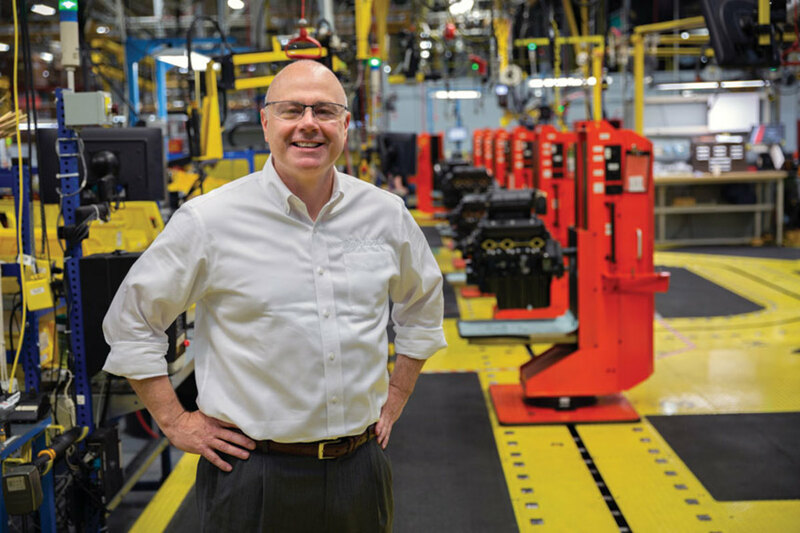 Chief Technology Officer and President of Marine Consumer Solutions, Brunswick Corp.
To call David Foulkes a busy man would be an understatement. Foulkes was already chief technology officer at Brunswick Corp. when he took on the role of president of Brunswick Marine Consumer Solutions last May. That was after he had helped spearhead the introduction of more new Mercury engines in a single year than ever before. Foulkes joined Brunswick in 2007 and was responsible for product development for Mercury Racing. During his 10 years with Mercury, the manufacturer “reinvented” the 4-stroke outboard, he says, introducing the industry’s first 150-hp engine. It became the architecture for many future Mercury engines. “It was the most impactful thing I was involved in,” he says. Foulkes and his wife, Gillian, live in Lake Bluff, Ill., about a 15-minute drive from Brunswick headquarters in Mettawa. The family — their son works for a digital modeling agency in Chicago, and their daughter attends Boston University — enjoys boating aboard their Boston Whaler 345 Conquest on Lake Michigan. Soundings Trade Only caught up with Foulkes during Mercury’s media event at Chelsea Piers in New York this past summer, and later at IBEX in Tampa. In addition to 4-stroke development, what stands out during your 10 years with Mercury? We did a lot of great work there. Mercury Racing introduced its outboard product line, and that business evolved nicely. I’m very pleased with that. One thing I’m particularly proud of: We developed the most formidable product development capability in the industry. That team moved from one project to the next, giving range and great depth to Mercury product development. You joined Mercury just as the Great Recession was taking hold. What was that like? Brunswick and Mercury were very farsighted. They retained the core level opportunities but added a third more to the size of the organization, including more than 100 engineers. We pulled people from different industries. We readjusted the engineering talents and built in controls capabilities. We used more electronics and more designers. Because of the downturn, we had time to rebalance the skill sets of product development. It served us very well. Now that you’re at Brunswick headquarters as chief technology officer, can you describe your duties and what you handle day to day? I have two roles: CTO for Brunswick and president of Marine Consumer Solutions, which includes all of our boat companies and service businesses, financing and insurance, as well as startup businesses like Nautic-On. The CTO role is setting technology and innovation priorities for Brunswick. Part of that is internal collaboration and choosing technology initiatives that are relative to the whole of Brunswick. Our companies work as a team now. The other thing is reaching into academia and the startup system. We’ve partnered with Chicago-based TechNexus and have been developing a portfolio of investments in early-stage companies related to the marine and fitness industries. Big companies don’t necessarily find it easy to navigate the startup world. The partnership with the TechNexus portfolio of investments ranges from connectivity to artificial intelligence to various forms of human/machine interaction. We get access to people who are completely committed to developing these fields. Plus, we get all their energy and excitement. Consumer Solutions is part of an effort to transition the business from focusing just on hardware sales to a focus on solutions that involve services and connectivity and data. You see a lot of automotive companies reinventing themselves as mobility providers. People, especially millennials and Gen Z, are looking for made-to-order solutions, a complete experience. When you buy a boat, we should be able to offer financing, insurance, extended warranty, safety and connectivity. Brunswick launched its innovation center, the iJET Lab, in new headquarters at the University of Illinois at Urbana-Champaign. How is that going? The iJET Lab is a very exciting place. We get the fresh perspectives of undergraduate students across a lot of disciplines, bridging the corporate and university worlds. We tried to make that environment somewhat reflective in the new headquarters. There’s a nice use of space and color. We wanted to make the iJET Lab different from some of our other spaces. The university provides a healthy pipeline of students, and we offer good opportunities for students in the types of projects. We don’t develop technology for technology’s sake. We understand the kinds of things that make the boating experience more compelling and alleviate some of the pain points. Then we develop ideas and concepts around how to do it. Among the initiatives at iJET, which are particularly promising for the boating industry? Let me talk about three areas of interest. The first is seamless, natural interaction between the operator and the boat. That means everything that makes control easier, all the way to voice recognition. It means making interacting with a machine a more natural process. Another is the connected platform. 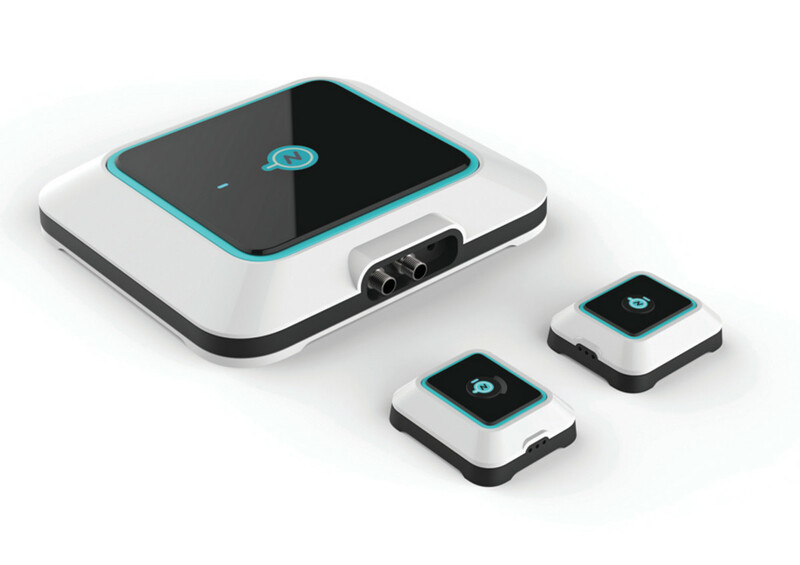 The Nautic-On team and early-stage companies have been building systems around 4G, Wi-Fi. The Nautic-On app is very contemporary. It’s a way to monitor the boat remotely. Its main, long-term purpose is that it allows the boat operator to communicate with the ecosystem. There’s a tremendous opportunity through connectivity to facilitate a much more holistic boating experience. Right now, a boat’s ecosystem is not easy to navigate. We want to consolidate navigation through an easy-to-use app that provides the information you need. The last area is autonomy. We’ve been working hard with autopilots, joystick control and active trim to make a boat easier to operate and more intuitive. We plan to continue along that path, focusing on areas that remain where boaters feel uneasy, including docking and anchoring. Why is connectivity so important now? Contemporary experiences designed around connective platforms are central to consumer expectations. You have Uber and connected cars. People have gone beyond looking at a hardware product and now see evolving hardware that offers analytics and access to the cloud and the Internet. It fits well with the changing marketplace. Connectivity is a part of that transition. We’ve moved from focusing more on hardware to focusing on a new set of solutions. The end goal is about making boating easier, more intuitive and a compelling experience. It’s about meeting some of the expectations translated from consumer experiences around cars and electronics. People expect to have those experiences on their boats and interact with boats in an intuitive way. But a lot of auto technology is disengaging the driver from the driving. Boating is more about the experience, not just getting from point A to point B. We want to make everyone’s time on the water as pleasurable and incident-free as possible. What significance does the iJET Lab play in terms of long-term goals? It has been very effective already and will be extremely valuable going forward. We’ve structured it to be adaptable, so we can work on different projects in a flexible way with independent work and research. Some methods can lock you into a particular set of skills depending on how the project needs to evolve and how we have to add to our capabilities. This system gives us flexibility. It’s also about finding areas of common interest and evolving technologies we can all use. Some parts of our company are more geographically isolated, but now everyone has an opportunity to collaborate. Where do you see boats heading in terms of technical developments over the next two or three years? I’d point to three areas: enhancement of next-generation autopilots, progressively more capable joysticks and simplification of the operator interface with the boat. Boats are complicated, so it’s important to make them as intuitive as possible. Voice control will become more common. There are a lot of high- and low-tech combinations — high-tech electronics combined with conventional switching. There are a lot of interesting materials, infusion and carbon fiber, hybrid materials. There’s a lot going on in the composite space. We’re going to make boats easier to build, more durable and lighter. It’s not just the digital space. Do you provide input on new-model development for Brunswick’s boat brands, or is it more about systems integration and future direction? I work closely with those in the boat group, but not universally. We have specific areas where my experience is most beneficial. I don’t want to be into every detail, but part of my role is to be influential, so I’m excited to be able to engage with Boston Whaler and Sea Ray and other brands in something that’s bolder and more differentiated in terms of new-product development. Is there a recent boat introduction that you were involved in? The Boston Whaler Realm, kind of a new hybrid boat. These new crossovers are popping up all over the place. We have opportunities in white space and making sure that we consistently execute. Brunswick has partnered with Massachusetts Institute of Technology on autonomous boats. What is that relationship like? MIT brings a nice autonomous platform, mostly from an academic perspective. We bring a lot of industry knowledge and controls technology and practical understanding of implementation that makes the relationship potentially very fruitful. There are other companies and industries that we’re engaged with for autonomous vessels because there isn’t one solution. Our plan is to work our way through in a logical way. Some of the things developed for road vehicles don’t apply in boating. We have roll and pitch that you don’t have on the road. In a car, parking is usually confined to two well-defined lines. It’s not so simple when there are wind and current. “Parking” in the marine environment is usually trying to interpret what the docking space really is. When you turn the wheel in a car, it’s well defined where you’re going to go. In a boat, sometimes you have to turn the wheel to stay stationary. You need a different set of solutions than what you have in a structured environment. This is progressing pretty nicely at Brunswick. Aside from autonomous vessels, are there other systems you’re working on to make boating easier? If you think about the path to full autonomy as aggressively introducing more and more autonomous features, which is what you see in cars, you go from driver assistance, where a light in the mirror tells you when you’re being overtaken, to driver augmentation, with lane-keeping and more. We’re working hard on new generations of control technology. Looking at scenarios such as docking and collision avoidance, there’s a lot you can do without getting to a fully autonomous vessel that will make things easier. What can you tell us about about the Design Thinking initiative? Design Thinking takes some of the skill sets of designers around deep consumer research and abstracts a problem so you don’t jump to conclusions. We have a lot of processes for product development for things like Lean 6 Sigma. Design Thinking is like a toolkit for idea generation, and it makes sure that as you go through the design/thinking process you deeply understand what the customers really want without jumping to conclusions that they really want another mechanical widget. It might be a more holistic solution. What’s an example of where Design Thinking has been used? 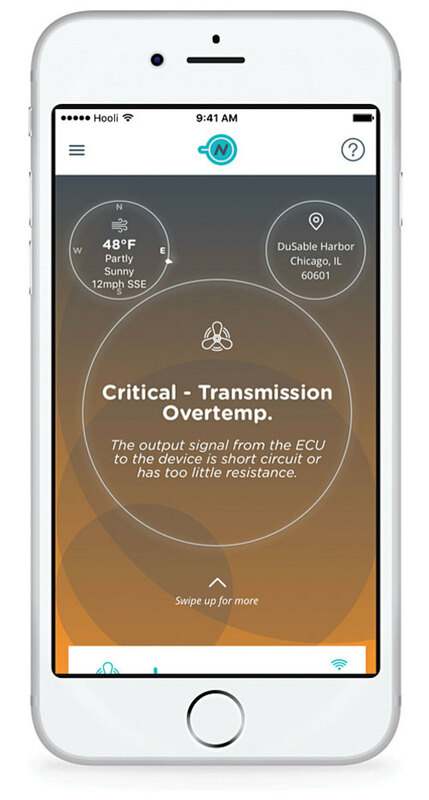 We’ve used it a lot in the Nautic-On boat connectivity app to try to understand how to prioritize the features and content and make sure what’s in there is what consumers really like. It’s a way to approach problem solving. How many people have you trained in Design Thinking? One hundred people have passed through our Design Thinking program. Is there one technology or operating system that customers have been especially receptive to? If you look at Boston Whaler and Sea Ray, almost all their big boats now have a joystick. Active Hull Bottom — those big tabs we have on Sea Rays — are becoming more vital, but I don’t want to forget about that thing on the back of the boat, because I spent a lot of time making them light and convenient, easy to service and maintain, and quiet. The new outboards are lighter and have a larger displacement and no surpercharger. Was there an effort to make their operation easier to understand? Leonardo da Vinci said simplicity is the ultimate sophistication, which I think is a great saying. Basically, if you can find the simplest solution, you can find the best solution. It used to be that larger displacement meant heavier and bulkier and less fuel economy, but now we have bigger displacement that’s lighter, more compact and lean burning. What has been the response to Nautic-On? Is it the framework for something more elaborate going forward, and will it eventually have new features? Response to Nautic-On has been good. A lot of things are happening in connectivity, and I don’t think anyone has as complete a package as Nautic-On. We have a long list of additional features we’re going to continue to drive into Nauti-On because we’d like to make it an industry platform. One thing we’re doing with iJET is adding a social element to Nautic-On, an app that allows you to organize your boating experience, invite friends, curate your photographs and memories, decide who’s going to bring what, when you’re going to raft up. We’re trying to think outside of just the near-field technology toward more social engagement. What are some of the other projects you’ve done at the iJET Lab? We showed some augmented reality with Boston Whaler’s virtual-reality Montauk. In some cases, you launch a new model, but not all dealers will have one. We can launch a virtual model, and people can put on a headset or HoloLens and walk the boat. We have it configured so that with gestures you can open and close hatches, add or delete features. It’s a tremendous marketing tool. We’re also working on voice control for a lot of features. Some technologies contribute to autonomy — image processing, for example — so we’re using optical information as part of a suite of sensors to make a boat self-aware. In that suite would be optical processing — radar, lidar, all the things that help make a boat navigate a complex environment. There’s a lot of talk about attracting younger people to boating. What is Brunswick doing in this area? We have a lot of entry-level product between Crestliner, Bayliner and Heyday, which is our wake-sports brand, so we have a specific emphasis on advanced design looking at millennial and Gen Z-oriented product. Part of the design thinking there is that it’s not just the product; it’s the whole experience, the market offering, so we’re pretty intensely looking at where there might be some white space. With Brunswick’s acquisition of Power Products, Mercury said it wants to provide an electrical backbone for systems integration. How will that fit with some of the other projects you’re working on? There are lot of capabilities in Power Products around electrical systems and electrical architecture and digital switching. It will round out Mercury’s product offering extremely well. If you’re an OEM builder, you can rely on Mercury not only for engines but an integration of products. Mercury and Power Products can provide electrical architecture and digital switching architecture. With Brunswick keeping Sea Ray, what are the plans for the brand? We’re focusing particularly on the bigger dayboats and cruisers, STX, SLX in the low 20s to 40 feet, products that have enough scale for the technologies we want to bring on board. We want Sea Ray to be back at the forefront of design and innovation. We’re going to make it a bolder market entry, with more differentiated design DNA. That is galvanizing a lot of excitement within the company. You don’t often get the chance to reinvigorate an iconic brand. Will there be a focus on outboard boats at Sea Ray and other Brunswick brands? The investment has already been made in developing outboard versions of the SLX and our cruisers, so we’re in an advantage position of having more outboard derivatives than our competition, and that certainly will be a continuing focus, but alongside sterndrives. The sterndrive provides us with the opportunity to recreate on the back of the boat, so we’re continuing to invest in parallel. There are two companies that will remain sterndrive-centric, Sea Ray and Bayliner. Why has the sterndrive segment continued to struggle? I don’t think it has recovered the way the outboard market has. The outboard market recovered on the back of pontoons and saltwater fishing, which have always been outboard boats. Sterndrive has remained flat compared to what’s going on with the outboard side. Is Brunswick looking to acquire more boat companies? We are always looking. It’s a question of the right strategic fit and the right financial conditions. We’re constantly looking at what’s the nexus of opportunity. Boston Whaler has been growing rapidly. We’re reintegrating Sea Ray and focusing on that area, but we’re closely monitoring areas of opportunity. The wake-sports segment has been growing steadily. Is MerCruiser making an effort to grab market share? The majority of Heydays are MerCruiser powered, and the Heyday brand has grown very rapidly, so I’m excited about the additional models. It’s important that Heyday find new entry points into boating opportunities for younger generations. It’s kind of unique — it has a more modern look, it’s more affordable than a lot of mainstream brands. In that marketplace, you need to do something to differentiate yourself, and Heyday does that. There’s a lot of talk about electric boats, but the battery technology isn’t quite there for those who want to use an electric boat the way they use a gas model. What’s your perspective? I think you’ll see electric boats in low-power, short-range specific applications. They’re still very expensive. For the kind of planing boats that are staples for Brunswick and most U.S. brands, it’s very tough to make the case. When cars run on a flat road, it doesn’t matter how many horsepower you have under the hood, you’re using about 40 horses. With a planing boat, you’re using 60 to 75 percent of your power — that’s a lot of energy consumption — and we don’t have brakes, so there’s limited options for engine recovery. We continue to see electrical power as interesting but in fairly small, niche applications. What can we expect from Brunswick in terms of innovation? We have a lot of products in the pipeline, and I think every time we introduce something we try to make it innovative. The new generation of engines has a lot of innovation in them. Products like the Boston Whaler Realm that we just introduced, others with large amounts of seating space, and Nautic-On. I would look for different boat configurations and different boat types, along with the evolution of engine technology. What will boating be like 10 years down the road? It will continue on a track of being a much more accessible experience. I expect rapid integration of technology, and I do think this path of offering more access points, more affordable product, and more diverse products is significant. I see a lot of new people coming into boating through fishing and active forms of boating. It will progress by making it more accessible from a technical perspective.